Maria Countess Malzahn was born the youngest of seven children at Militisch Castle in Silesia. She roamed freely on the big estate that boasted forests and lakes. Even at a young age, she was clearly very fond of animals and studied the birds of prey and forest fauna. She was extremely attached to her father, who was very understanding of her and encouraged her inclination to stand up for the weak, even though she sometimes took this too far. One time, she almost drowned her only brother Carlos, whom their mother favored over the girls, because the snakes he was afraid of had all been killed. Another boy, who had cut off a live newt’s legs, she punished by jabbing him in the leg with a knife. When Maria was only twelve years old, she suffered the death of her father. Her mother wanted to turn the headstrong girl into an obedient daughter, which led to many conflicts – no wonder, given Maria’s rebellious streak. She was sent to school in Militsch, then on to boarding school in Warmbrunn. Since she was set on graduating from a school that would qualify her to study veterinary medicine (her greatest dream was to be a veterinarian), she changed schools without her mother’s knowledge, graduating from the High School of Natural Sciences in Berlin. Then she began her studies (Zoology, Botany and Anthropology) in Breslau and Munich before moving on to veterinary medicine in Berlin, where she obtained her Doctorate in Natural Sciences. In Munich, she had met the cabaret artist Walter Hillbring, who performed banned Tucholsky songs in the artists’ bar “Simplicissimus”. She married him in 1935, but the marriage only lasted one year. Maltzan was politically aware and had realized the impending danger of Nazi dictatorship early on. 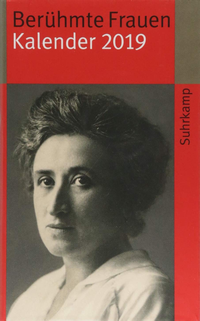 Contrary to most Germans, she had closely read Hitler’s Mein Kampf, in which he had already expressed his hatred of Jews very clearly. She contacted the Jesuit priest Muckermann, who led a Catholic resistance group, to offer her help. At his instigation she smuggled antifascist literature to the foreign press and took part in a campaign helping Jews swim across Lake Constance to freedom in Switzerland. She also participated in the campaign “Schwedenmöbel” (“furniture for Sweden”) organized by the Swedish Church in Berlin – persecuted people were hidden in containers that Swedish citizens were permitted to send home and thus safely got out of the country. In Berlin, Maltzan participated in the meetings of the Solf Circle, a resistance group named after Hanna Solf. Almost all of its members would be arrested by the Gestapo and sentenced to death by the People’s Court. For Maltzan too, taking in Jewish and Communist refugees always put her life at risk. 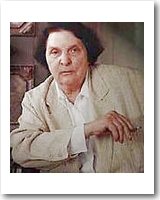 The most dangerous time for her started in 1942, when she would hide her lover and future husband, the Jewish writer Hans Hirschel, inside the compartment of a sleeper-couch whenever the Gestapo searched her house. Maltzan was pregnant with Hans Hirschel’s child at the time. The child was born prematurely and died shortly after birth, when the power supply to the incubator was cut off during a severe bombing raid on Berlin. In the post-war years, Maltzan was in poor health, suffering from gallbladder attacks and the effects of her drug and chemical dependencies. Only after several attempts at rehabilitation did she manage to overcome her dependencies. For some time, she travelled around as a circus veterinarian and worked as a relief veterinarian in clinics all over Germany and Switzerland. When she was already in her mid-sixties – her husband, Hans Hirschel, had died in 1975 – she opened her own clinic in Berlin-Kreuzberg, where she became very popular with the Punks, since she treated their pets for free. Literature: Maltzan, Maria Gräfin von. 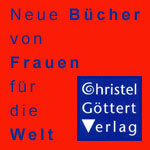 2005 (1986). Schlage die Trommel und fürchte dich nicht. München: Ullstein.